For a guy who just got here, Jake Bauers seems to have this home run celebration down pat. Let's see. You round first by the time your 420-foot home run clears the right field fence. You pump your left fist. You throw your helmet into the air. You pump your fist again. home. The right leg in front. Then the left leg in front. You crouch over, and you are swallowed up by the crowd, and somewhere along the line (think Willy Adames) you lose your shirt. This is as good as it gets for a kid first baseman. 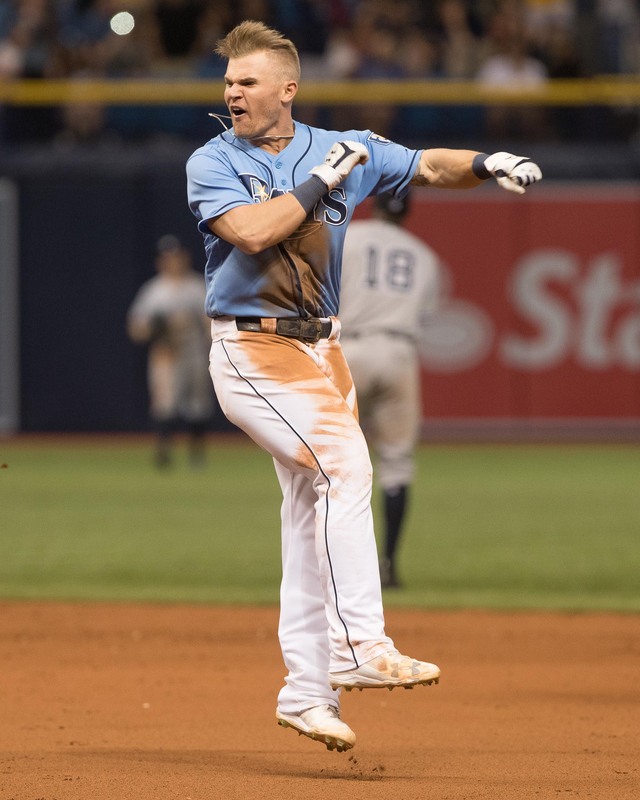 Bauers' 12th-inning homer enabled the Rays to outlast the Yankees, 7-6, and sweep their series. 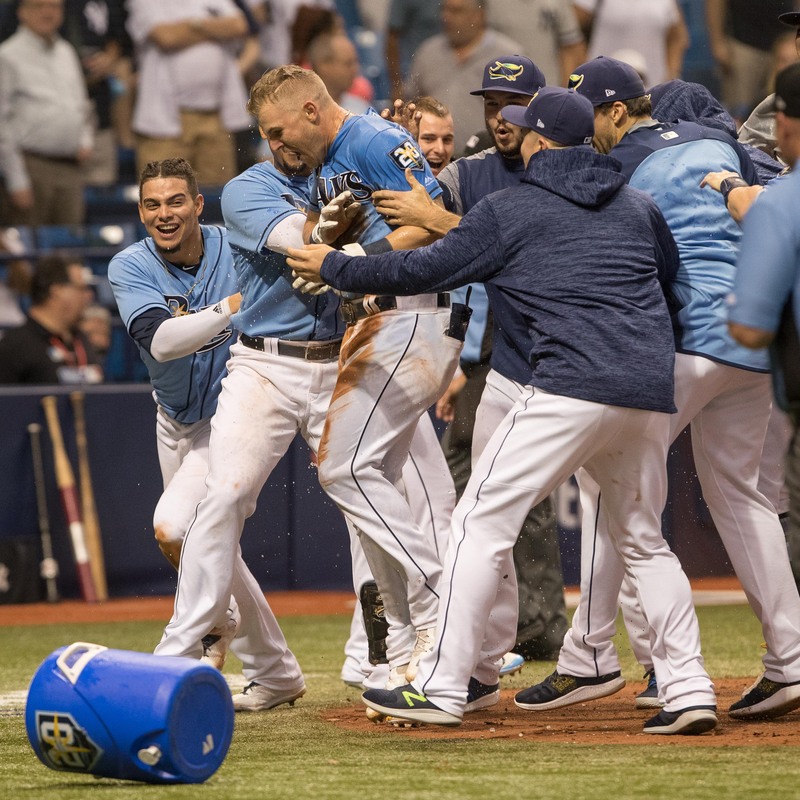 Bauers was the first Ray to hit a walk-off home run before his 23rd birthday since Evan Longoria in 2008. He was the fourth all-time to accomplish the feat after Longoria, Delmon Young in 2007 and Carl Crawford (twice in 2003). So how did the trot feel? Through 17 games, Bauers is hitting .254. He had a triple in addition to his homer on Sunday. 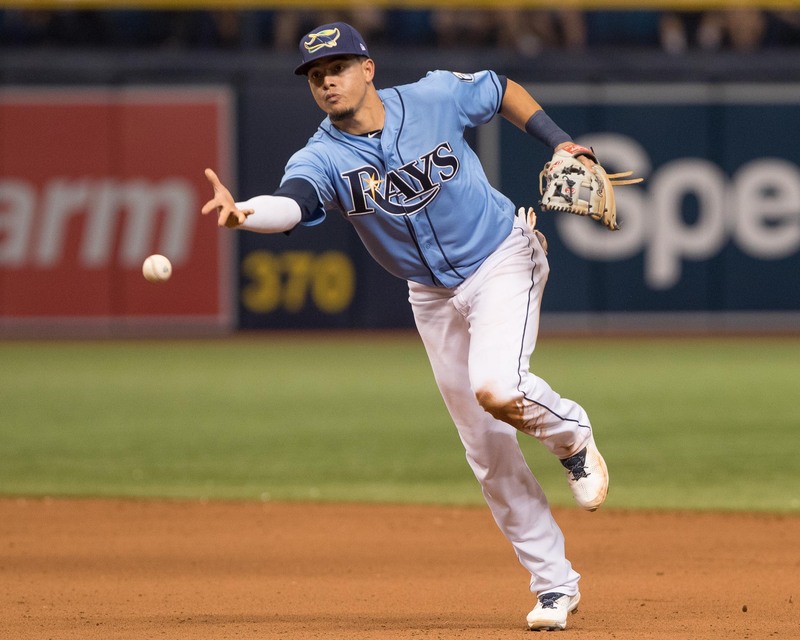 The Rays and Yankees swapped leads throughout the day. Tampa Bay took a 2-0 lead, but New York came back on a three-run homer by Miguel Andujar. Tampa Bay surged ahead 6-3, but the Yankees tied it at 6-6 in the eighth on a home run by Giancarlo Stanton. 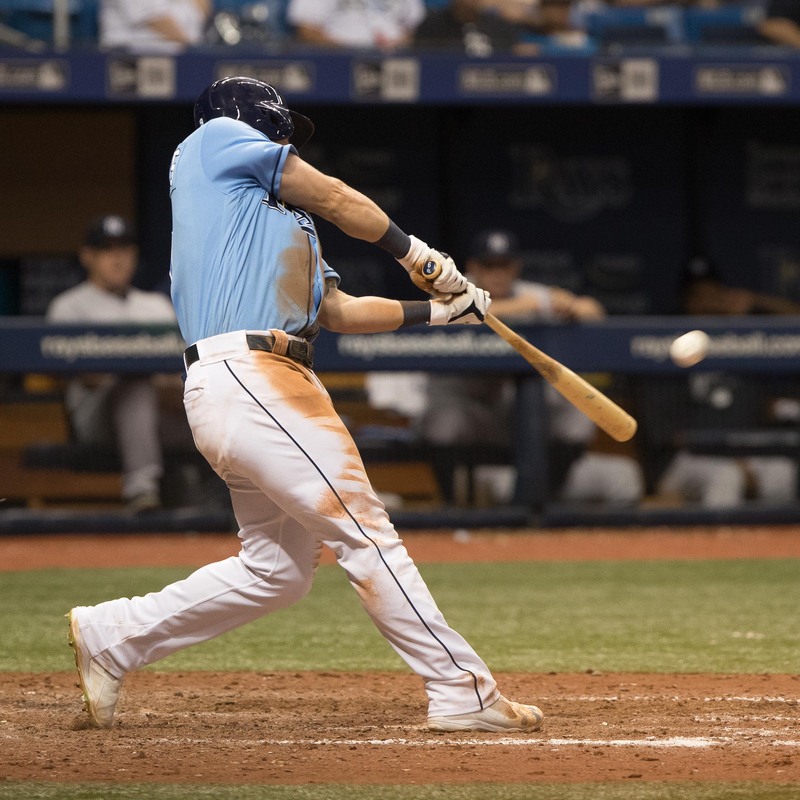 Bauers' homer was the Rays' only hit since the third inning. 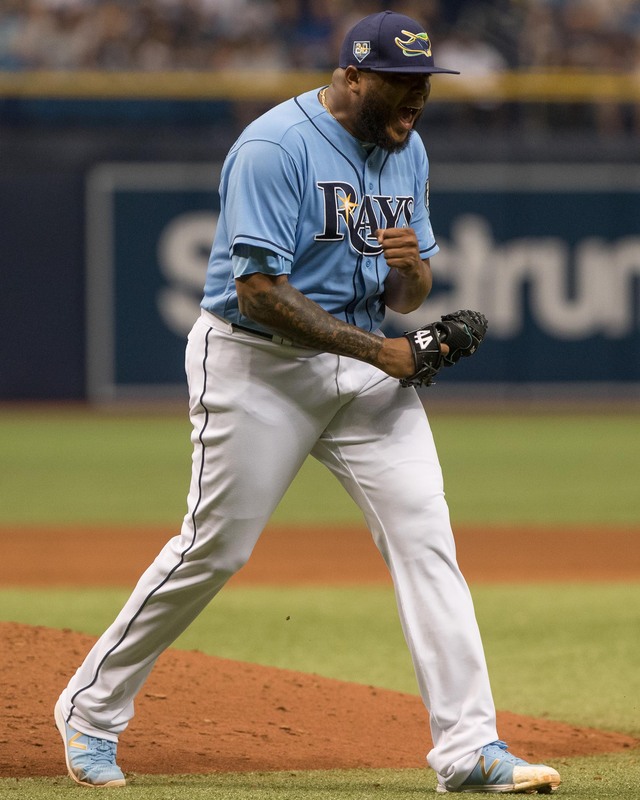 Still, the Rays' bullpen kept the game close with seven pitchers. The last one was Ryan Yarbrough, who pitched 3 1/3 innings on Friday. Yarbrough came in when Johnny Venters pulled a hamstring covering first. It left Yarbrough with a 7-3 record. 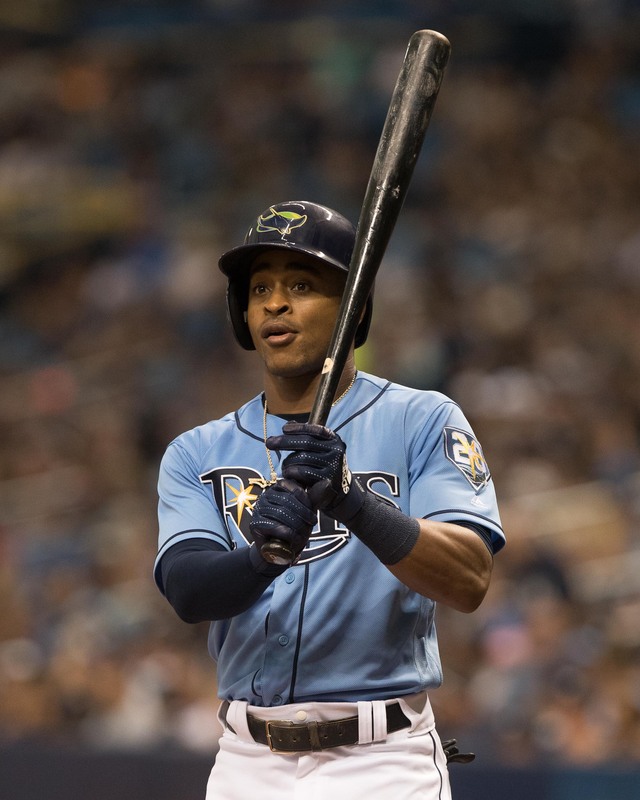 Bauers, Carlos Gomez and Jesus Sucre all had two hits for Tampa Bay. Stanton had five hits for the Yankees, including his home run. 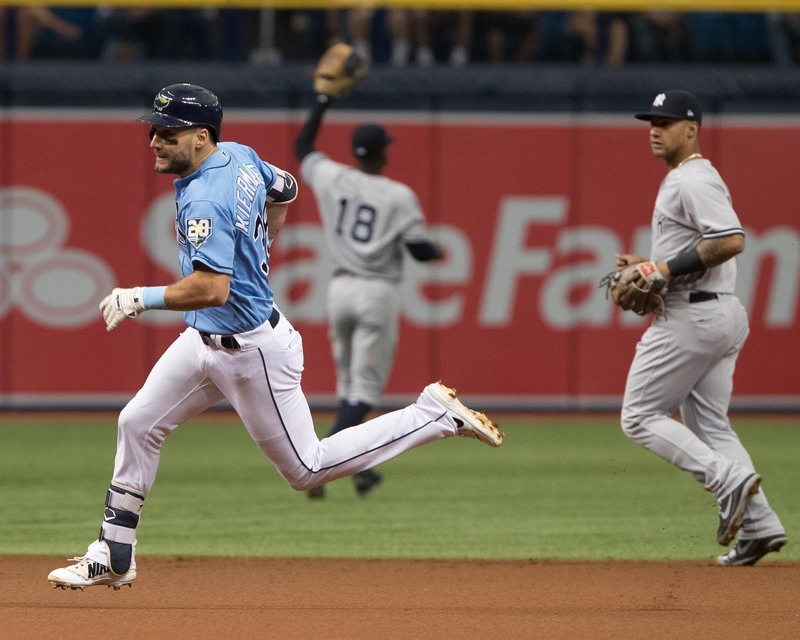 It was the fourth straight game the Rays have beaten the Yankees. 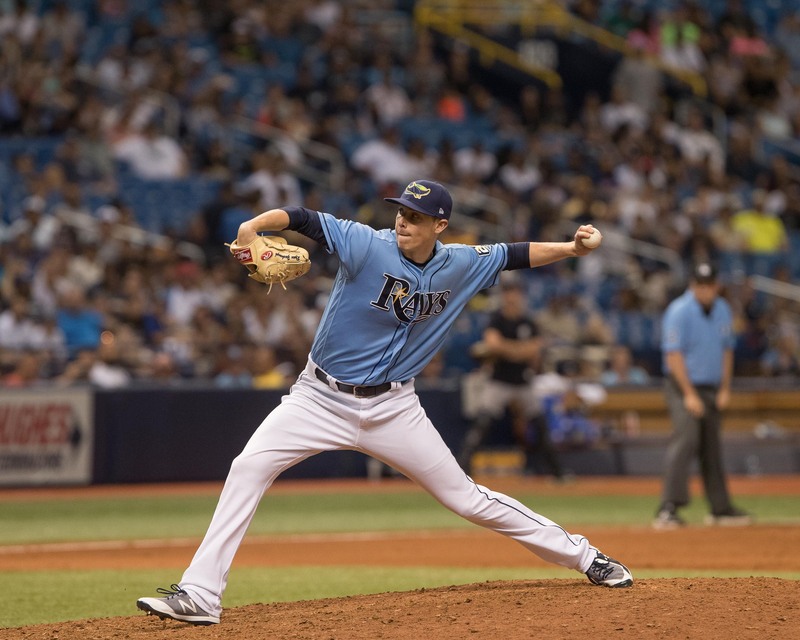 The Rays now host the Washington Nationals, starting with today's 7:10 game at the Trop. Blake Snell pitches for the Rays and Gio Gonzales for Washington. 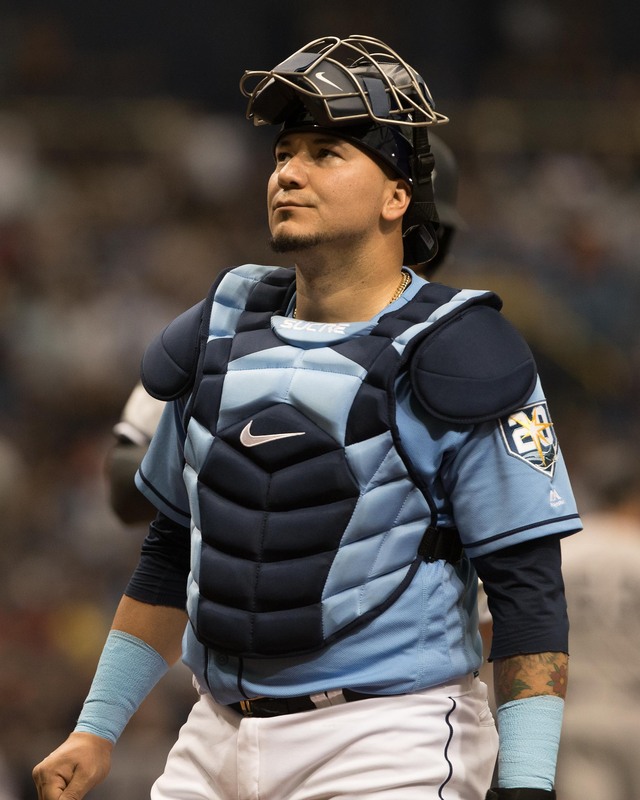 Every time the Rays meet the Yankees I think of David and Goliath! I guess Goliath looked little smaller this time. It was a great game Sunday. A great series, but Bauers makes you believe. 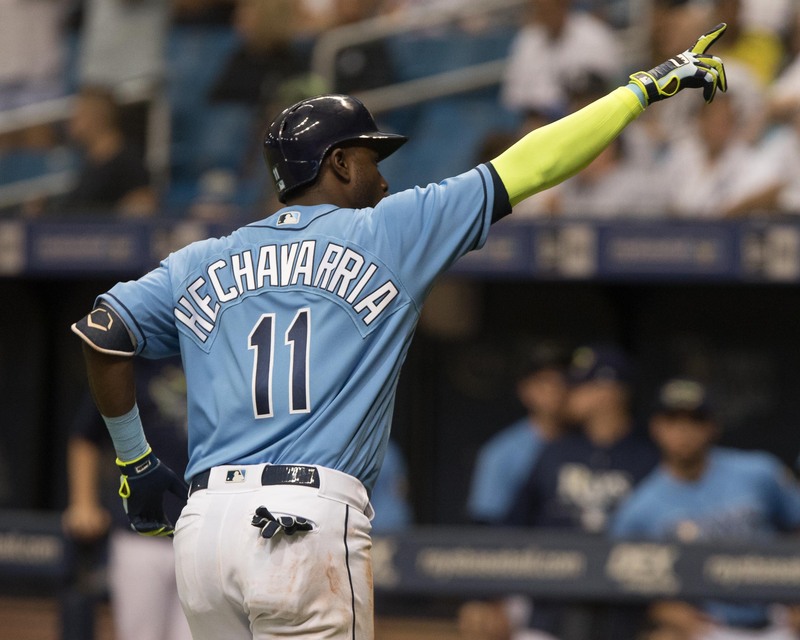 The Yankees are still buying a pennant, but the Rays look promising.